For over 10 years, the experts at Stalk and Awe Geese Management have been providing comprehensive goose management solutions and humane and effective goose control solutions for residential and commercial property owners throughout the Dublin area. There are many aspects of geese management to consider when trying to alleviate your nuisance goose conflicts and our Certified Goose Management Professionals are trained in all aspects of geese management. We stay up to date on the newest control and deterrent methods in order to offer our clients the most affordable management system for their needs. Our extensive experience in both commercial and residential property management fields enables us to meet the highest standards set by our clients. 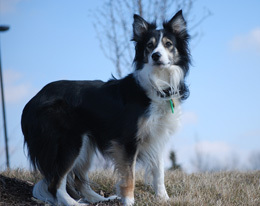 Regardless of whether your property needs an abatement program by means of highly trained border collies, FlightControl Plus applications, habitat modification, egg depredation, or other humane deterrent methods, we have a solution for you. The use of properly trained goose control dogs has quickly become standard for today's geese management professionals. 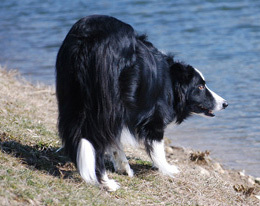 Goose abatement or goose removal by the means of border collies is accomplished by frequent visits to your property at various times of the day or night. By visiting at various times, the geese will assume that there are multiple predators and will be forced to find a different and safer property to nest and eat. We have chosen to hone our goose control dog's skills and ensure control by consistently training on Indian Runner ducks. 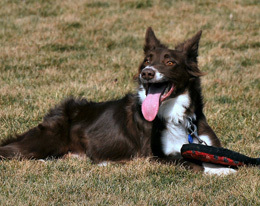 This helps reinforce patience and confidence in all of our dogs. Another benefit of our goose control dogs being trained on ducks is that they can distinguish between the two species; geese and ducks. This means that if your property prefers to be duck friendly, we can maintain the duck population while alleviating the nuisance Canada Goose population. In addition to our goose control dogs, we use a combination of techniques to ensure the best results for your property. One of the most effective methods is our specialized eco-friendly turf treatment, FlightControl Plus, which will prevent geese from foraging and will persuade them to go elsewhere to find a meal. How does FlightControl Plus work? Geese feed on treated grass and experience a harmless, but effective intestinal reaction. Geese can also see the compound in the ultraviolet spectrum of light (which people cannot see). Geese become conditioned to avoid treated areas and find new feeding sites away from your treated turf. The visual warning, along with the mild intestinal reaction, equals a treat with a consequence. Don't worry, Geese will not be harmed or die as a result of eating FlightControl Plus! How do the geese respond? Geese will sample the area and may respond by shaking their heads, drinking water, rubbing their necks, and pecking their bellies. As the geese continue to sample, the conditioning process begins. The geese may continue to feed several times, drinking in between, while the conditioning takes hold. In a day or two, the geese will have no choice but to find an alternative food source. 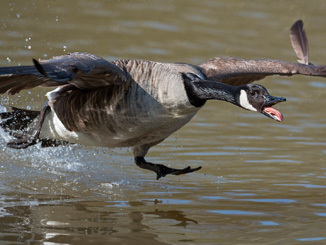 For maximum success with Canada goose control, it is best to deploy several deterrent methods, in combination with a comprehensive goose management program. The Goosebuster is a one-of-a-kind sonic repellent device designed to get rid of geese. Based on extensive scientific research into the behavior and vocal communications of Canada geese, the Goosebuster is the most effective goose control solution available anywhere -- using recordings of Canada geese to eliminate and prevent stubborn goose infestation. 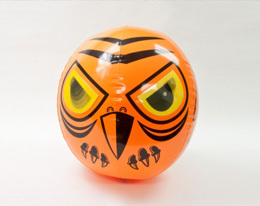 This menacing predator replica strikes instinctual fear into the hearts of geese, birds, and other small animals. The "3D" structure makes it visible from every angle. The "eyes" are made from holographic materials, which create the illusion that the large, menacing eyes are following the bird to attack. The bright colors, large size, and holographic eyes work together to exaggerate the features that birds fear the most. Stalk and Awe Geese Management is an authorized distributor of Away With Geese in the greater Cincinnati, Dayton, and Columbus areas. 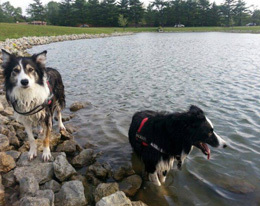 The success of the product is based around a simple concept: at night, geese sleep in or near water areas where they feel secure from their predators (dogs, foxes and coyotes). Special lighting prevents geese from roosting in areas secure areas as Away With Geese simulates the eye reflection of these predators and disrupts the geese's ability to sleep. The geese no longer consider the area "safe" and will simply move to another suitable area within a few days. 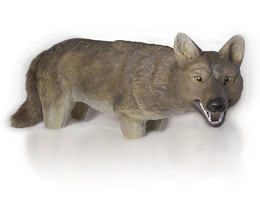 These life-sized coyote decoys work by re- introducing the goose's natural predator back into the area and can be successful in deterring Canada Geese populations. 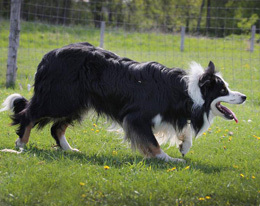 Combine them with the use of border collies or predators calls like the Goosebuster audio deterrent for even greater success. 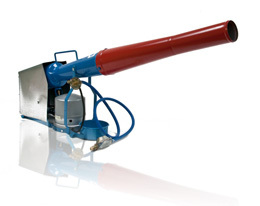 Scare-Away LP gas cannons produce harmless 130-decibel bangs to disperse bird and wildlife from crops, orchards, vineyards, campuses, golf courses, fishponds, parks, airfields, and landfills. The same five-gallon LP gas cylinders used for outdoor grills power the Scare-Away cannons. Nobody likes a dead goose, especially live geese. 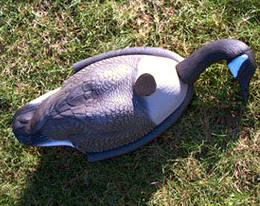 The Goose Guard is a lifelike goose decoy placed in an "agony" position, convincing live geese there are predators in the vicinity. 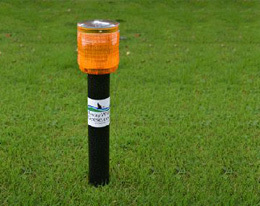 Goose Guard can be used on land and water (water applications must be anchored, so they won't float away). A minimum of two decoys should be used for flocking geese to believe predators will return. 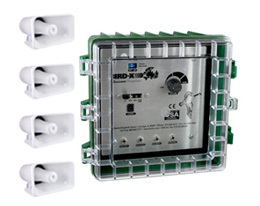 Kit includes two decoys in "dead" position, plus cord and anchors for water applications. "We hired Greg to discourage the geese from hanging around our property. The first day I contacted him, him and his dogs started working at our location. He explained the process and the results we could expect. In the month that he has been here, I have only seen geese one time on our property and they were just stopping by, not getting comfortable! I highly recommend Greg." Since 2006, Stalk and Awe Geese Management has been committed to professional and effective solutions for Canada Goose Control throughout the Greater Cincinnati, Dayton, and Columbus areas. Contact us today for a free property assessment to learn how we can help you!